Handbook of the McClean one-pounder automatic gun, Mark III, with instructions for its care. n. d.
Parts list and illustrations included with handbook. Discusses mounting of machine guns on motor vehicles, including McClean-Lissak automatic gun mounted on Packard truck. Illustrated. Naval Proving Ground, Indian Head, Md. Proof tests of 37 min gun, Russian type, manufactured by Poole Engineering and Machine Co. 19 Jun 1918 and 28 Jun 1918. McClean cannon offered to U. S. after Russian defeat in WW I and cancellation of order. Tests proved unsatisfactory because of jamming. Report of trials of McClean one-pounder automatic gun. 29 Sep 1904. Preliminary tests in May 1903, followed by regular tests in Mar and Aug 1904. Results of trials not satisfactory. Action characterized by many breakages and interruptions. Rate of fire and accuracy poor. Report of trials of remodeled McClean one-pounder automatic gun. 20 Oct 1905. Weapon previously tested in Sep 1904. 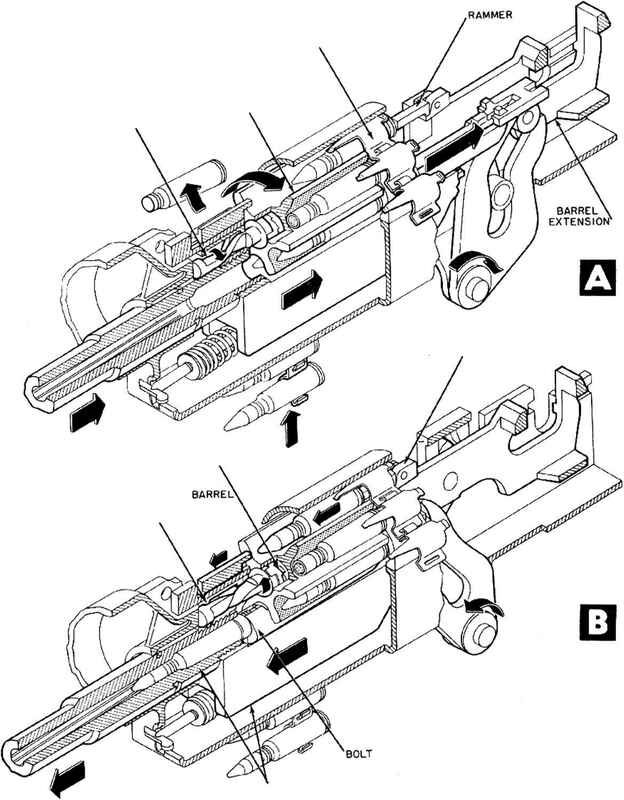 McLean gun Mark 2 is described and results of tests are given. Weapon failed in functioning of gas operated engine or piston rod.